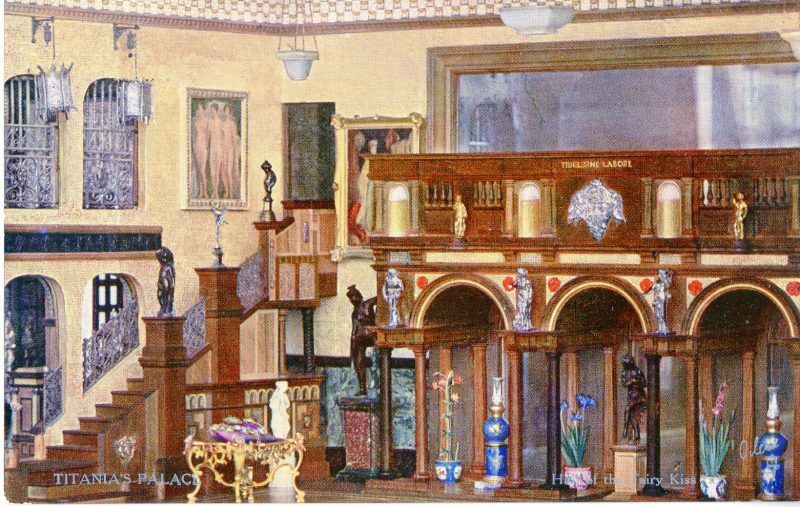 The final episode of our three blog series – written by one of our volunteers, Rod Cooper – that takes a look at the history of ‘Titania’s Palace’, a remarkable and long lasting fundraising initiative for The Children’s Society and it’s former Children’s Union that Sir Neville Wilkinson started in 1907. 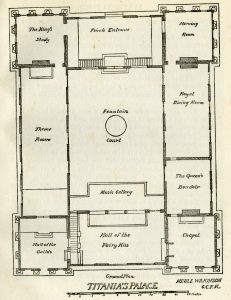 From the outset Sir Neville Wilkinson’s expansive doll’s house – Titania’s Palace – was constructed with strength, durability and portability integral to its design. Not just an example of high craftsmanship and artistic endeavour, Titania’s Palace was designed primarily to generate charitable funds as a popular public attraction, and in order to maximise its exposure it was essential that it could be dismantled, transported and reinstalled safely and efficiently. In recognition of these requirements, Sir Neville himself commented, “The Palace, in order to fulfil its destiny, must be a kind of “magic carpet,” ready to travel over land or sea . .” Consequently, the Palace was designed as eight separate sections, each with its own specially designed packing case, and each light enough to carried by two workmen to and from the a four-ton lorry needed to transport the entire structure. As for being a “magic carpet” it still took at least three days to dismantle and re-erect. 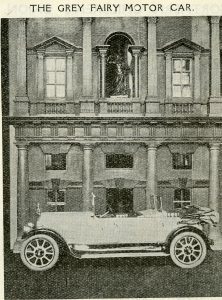 After its official opening by Queen Mary in July 1922 and subsequent display at the Daily Express Woman’s Exhibition at London’s Olympia over the summer, the Palace underwent further fitting-out before being placed on display at the Humber Motor Company’s showroom in New Bond Street from November and into the New Year period. This wasn’t pure altruism on the part of the Humber Motor Company. From among the increased numbers visiting their showroom, they would have had the well-founded hope of generating increased interest and sales from the display of their latest models. This mutuality between raising charitable funds and commercial gain became more deeply entwined when Humber provided a model car designed specifically for Titania’s Palace. This was called the Grey Fairy, and Sir Neville returned the favour by featuring the car in his second book of the “Yvette” series of books – “The Grey Fairy”. Displaying Titania’s Palace on commercial premises – typically a town- or city-centre department store – became very much the normal practice over the next decade or so. The attraction would benefit from being placed in a central, locally well-known, well-frequented location, and the stores themselves expected to gain commercially from the increased number of customers and the increased publicity. Shortly after the residency at the Humber showrooms, Titania’s Palace was relocated a short distance away at Marshall and Snelgrove’s store in Oxford Street (the present day site of Debenham’s). The display at Marshall and Snelgrove – to which Titania’s Palace would return a number of times – was intended to be for a short period only, but such was its popularity, its stay was extended a number of times through to the middle of August. With an entrance fee of one shilling (5p) for adults and sixpence (2.5p) for children, the proceeds were divided between the Waifs and Strays Society, the League of Pity (NSPCC) and the London Hospital, Children’s Wards. The charitable funds generated by Titania’s Palace were normally divided evenly between the Waifs and Strays Society and the League of Pity. However, additional charities – often based on the locality in which the attraction was on show – would benefit also. Thus, when Titania’s Palace ventured on its first tour beyond London – to the West Country in the autumn of 1923 – its two-week stay at Wilton’s in Salisbury ensured funds were raised also for the Salisbury Infirmary Children’s Ward. This was a pragmatic approach, as it ensured that Titania’s Palace did not monopolise the charitable potential of a locality to the detriment of local causes. 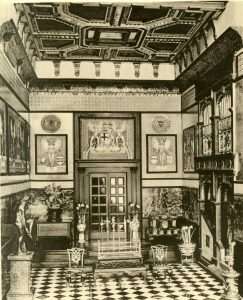 The tour of the West Country took in four towns – Salisbury, Bath, Cheltenham and Bristol – between October and November 1924, before Titania’s Palace was once again installed in Marshall and Snelgrove’s for the Christmas and New Year period. 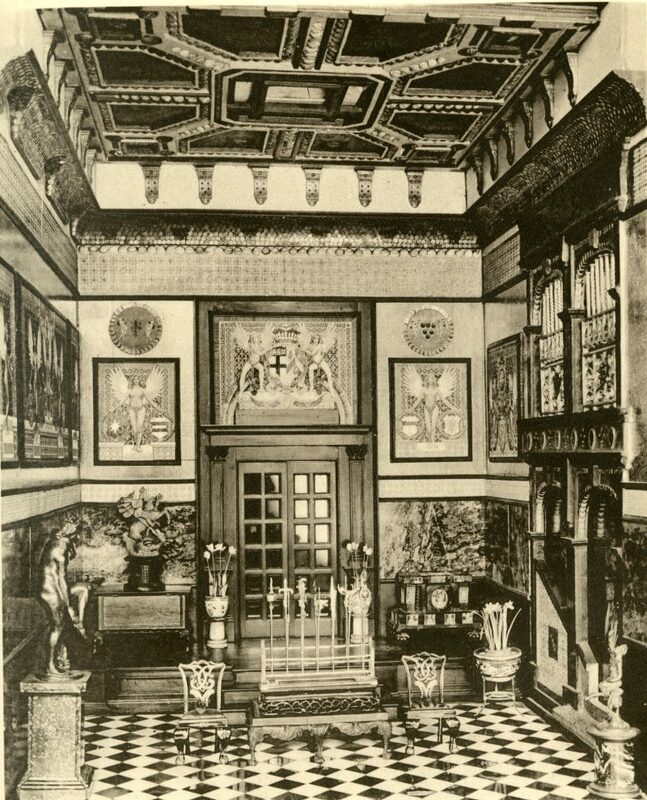 Articles reporting the progress of Titania’s Palace were a constant in the issues of Brothers and Sisters (the magazine of the Waifs and Strays Society’s Children’s Union) throughout 1923, and readers were kept well-informed of life at the Palace and its future whereabouts. The activities of Titania, King Oberon and the numerous Princesses and Princes (Iris, Zephyr, Ruby, Daphne, Noel, Pearl, and the baby, Crystal) were regularly reported on, and competitions were run for readers. Among the latter, for example, was an essay competition in the July 1923 issue, in which readers were invited to describe a visit to Titania’s Palace for a first prize of £4. In a marked – one could say refreshing – contrast to the present day approach whereby ‘everyone is deemed a winner’, the judge, who happened to be Lady Beatrix Wilkinson’s great-uncle, Lord Frederic Hamilton, commented rather severely upon the general standard of the entries. Clearly wishing for something more poetic and inspiring, he criticises the greater mass of entries as being “merely lists” (“I was, I will own, disappointed with most of them”). 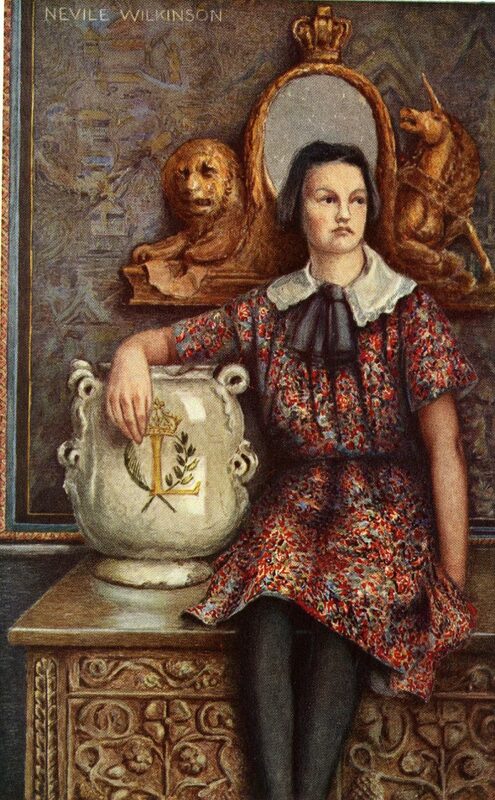 Fortunately however, fifteen year-old Sylvia Stimson of Streatham did pass muster (“infinitely the best”) and was credited with writing with imagination and a sense of humour. A hard-earned £4! By the summer of 1923, more than 20,000 visitors had paid to view the Palace, and the tour of the West Country witnessed almost as many again before Titania’s Palace was returned to London (once more to Marshall and Snelgrove) for the Christmas and New Year period. In some respects, the activities of 1923 were a trial run for future tours taken over the following years; being a test of the Palace’s portability, durability and resilience against the demands of constant dismantling and reassembly, and the rigours of transportation. 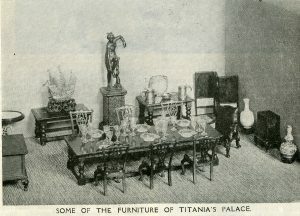 In March 1924, Titania’s Palace was displayed at the premises of George Henry Lee in Liverpool (with some of the funds being apportioned towards the local Bradstock Lockett home). 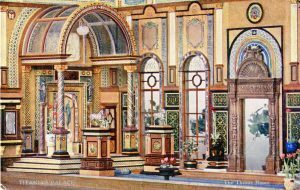 From Liverpool, the Palace subsequently toured throughout the north of England, visiting Leeds, Bradford, Harrogate, Scarborough, Hull and Sheffield, before returning to George Henry Lee in Liverpool for November. At the end of the year, the Palace was once again staged at the premises of Marshall and Snelgrove in Oxford Street. The Palace’s first shipborne venture was in the summer of 1925 when it was displayed at Clery’s department store in O’Connell Street, Dublin. In many ways the Palace’s spiritual home (with so many of its contributing craftsmen being based there) it remained in Dublin for more than a month before venturing northwards to Belfast. Upon returning to England, the Palace was put on view in Nottingham before spending the Christmas and New Year period at – in a change from previous practice – Whiteley’s in London. 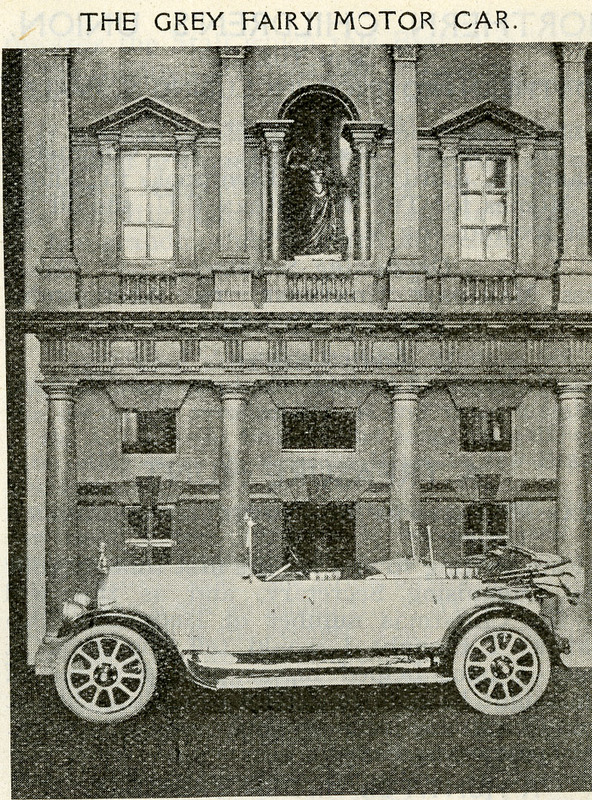 The experience gained in the transport of Titania’s Palace to Ireland assured Sir Neville that his attraction could be transported in safety yet further afield, and after a period on display at Lewis’s in Birmingham (deemed as the “last chance before a journey of 24,000 miles”) preparations were put in place for a journey across the Atlantic. The immediate lure, and the springboard for a continent-wide tour, was an invitation to feature in the sesquicentennial exhibition being staged in Philadelphia. As ever, the travels of Titania’s Palace regularly commanded space in issues of Brothers and Sisters. The trip to the eastern United States, for example, was chronicled in a series of articles entitled “Fairyland in Maryland”. Penned by Sir Neville in a rather whimsical style and from the perspective of the occupants of the Palace, it isn’t easy for a modern reader to digest and doesn’t seem entirely appropriate for describing the great conurbations of the USA, or the delayed departure of Titania’s Palace across the Atlantic on account of the Great Strike of 1926. Subsequent series of articles – such as “San Diego to Seattle” and “Vancouver to Quebec” – were written with an older audience in mind and must have been very interesting for Children’s Union members to read. For example, Sir Neville writes about the amazing landscapes of the western United States, its great cities, and meeting such luminaries Helen Wills Moody, Cecille B de Mille and Charlie Chaplin; he witnesses the process of movie-making in Hollywood, prognosticates on jazz (he doesn’t like it) and rails against piped music. To a young audience – and decades before mass tourism – Sir Neville’s experiences must have been truly eye-opening. Titania’s Palace did not return to Great Britain again until April 1929, when it was installed at John Lewis in Oxford Street. Thereafter, it remained on this side of the Atlantic until early 1931, when it featured in the British Trade Exhibition in Buenos Aries. Subsequent overseas trips included a tour to Australia and New Zealand commencing in the summer of 1934. In the usual fashion, the tour is reported in Brothers and Sisters (“Titania’s Empire Tour”), and provides the readership with accounts of the voyage to Freemantle – including ports of call such as Aden and Colombo – and the subsequent journey across Australia and onwards to Auckland. However, Sir Neville’s articles cease from September 1936, when it is announced in Brothers and Sisters that he has been taken ill. It’s not until July 1938 that Sir Neville writes once again; this time reporting on the Palace’s installation at Waring and Gillows in Oxford Street, London, and the visit of the young Princesses Elizabeth and Margaret. Sadly, this is Sir Neville’s final article for Brothers and Sisters and no further articles relating to the travels – if any – of Titania’s Palace appear in the magazine beyond this date. In a short and poignant message to the readers of Brothers and Sisters, and in an issue much reduced in size due to the wartime paper shortage, Lady Beatrix reports in January 1941 on the recent death of Sir Neville in Dublin, shortly before Christmas 1940 and following a long illness. In the years following Sir Neville’s death, Titania’s Palace remained on display in Ireland. However, some years after Lady Beatrix’s death in 1957, the Palace lost its permanent home at Ballynastragh and the trustees (amongst which was Sir Neville’s and Lady Beatrix’s eldest daughter, Guendolen) decided to put the attraction up for auction. 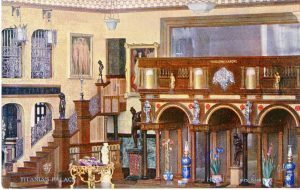 The Palace was auctioned at Christie’s in London and following a bidding war, which seemed to involve elements of a misunderstanding by an Irish-based bidder, Titania’s Palace was purchased by Olive Hodgkinson, who proceeded to put it on display at Wookey Hole Caves in Somerset, and subsequently at her home in Jersey. Following Mrs Hodgkinson’s death, in 1978 the Palace was again sent to auction at Christie’s. As on the previous occasion, there was a bidding war and a similar outcome in which Irish interests were outbid. The successful bid of £131,000 (i.e., approximately £700,000 adjusting for inflation) was lodged by Legoland, and consequently Titania’s Palace was relocated and put on display in Denmark. A subsequent loan agreement in 2006 between Legoland and Count Michel Ahlefeldt-Laurvig-Bille saw Titania’s Palace move to its present home Egeskov Castle; where it remains a premier attraction and can be still visited. 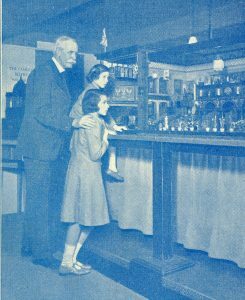 The second in a three blog series – written by one of our volunteers, Rod Cooper – that takes a look at the history of ‘Titania’s Palace’, a remarkable and long lasting fundraising initiative for The Children’s Society and it’s former Children’s Union that Sir Neville Wilkinson started in 1907. 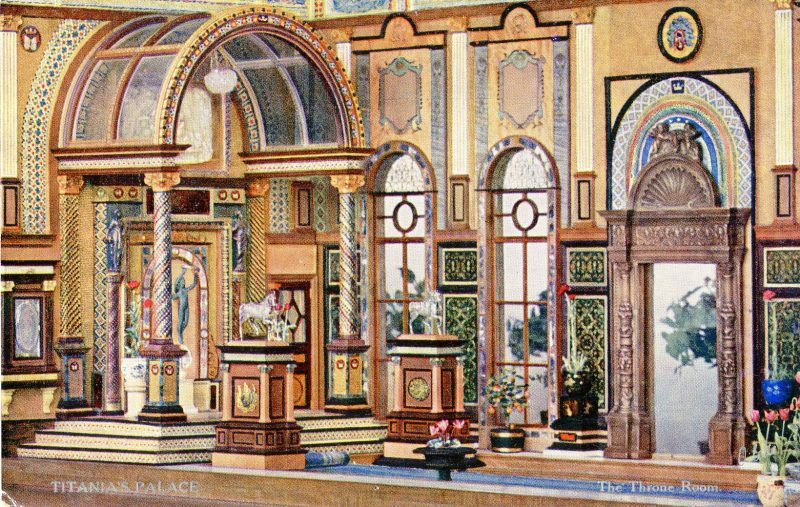 Commencing in 1907, the development of Sir Neville Wilkinson’s Titania’s Palace occurred over a period of 15 years and was evidently an expensive project. 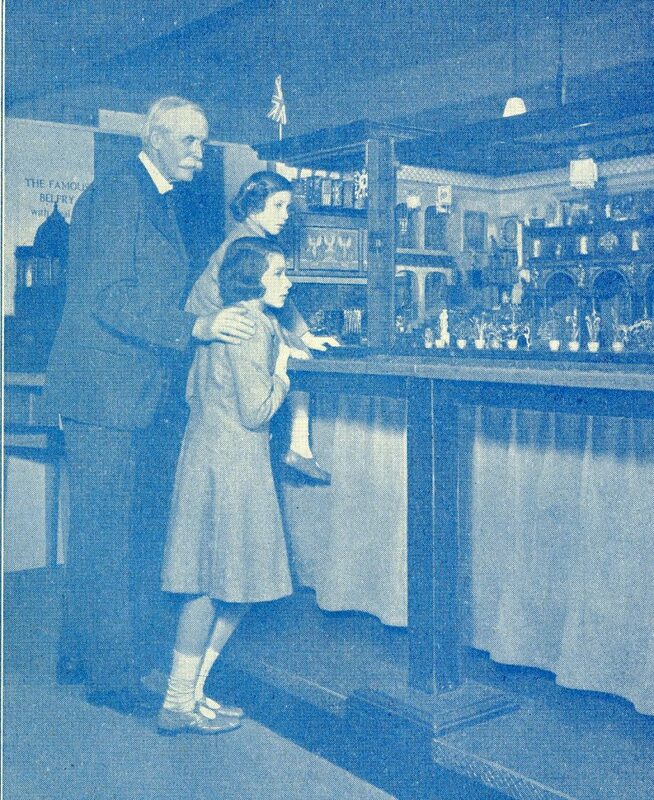 He once remarked in an issue of Brothers and Sisters – the monthly magazine of the Children’s Union – that by the time his dolls’ house was first presented to the paying public in 1922, there were “no funds available for a publicity campaign.” Yet this wasn’t an obstacle to Sir Neville, who, as remarked in Part One, was remarkably adept at generating publicity and interest in Titania’s Palace. 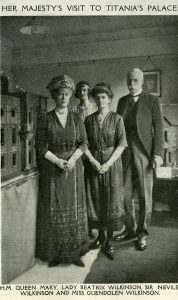 Both Sir Neville and his wife, Lady Beatrix Wilkinson, held senior and influential positions in children’s charities – he as Chairman of the League of Pity (NSPCC) and Lady Beatrix as President of the Children’s Union – and they were ideally placed to ensure that regular and prominently placed news and articles about Titania’s Palace were conveyed to members and supporters of the two charities. Undoubtedly, Sir Neville’s appointment and experience as the Ulster King of Arms, helped him to script the proclamation and he does warn his readers beforehand that it is “a little difficult to understand, as all these documents are, because there are so many stops left out.” What is clearly understandable however, was that in order to join the Order – or rather, to become eligible to join the Order – the purchase Sir Neville’s book, Yvette in Italy and Titania’s Palace was prerequisite. “Whatever did they want to do that for?” asked Yvette. “But why aren’t there any little birds here now?” asked Marietta. “They have nearly all been shot or trapped,” said the Maestro, gravely. “How dreadful!” said the children. “Was it because they eat up the fruit and things?” asked Marietta. The books are marked by numerous illustrations. There are black and photographs, featuring works of art and famous landmarks, plans and drawings, and colour reproductions of paintings; a significant number being painted by Sir Neville himself. It is perhaps because of the inclusion of so many illustrations, that the books were relatively expensive. They were initially priced at seven shillings and sixpence (i.e., almost £19 at present day prices) but were soon priced at ten shillings and sixpence. The dedication in Yvette in Italy is to Sir Neville’s and Lady Beatrix’s two daughters, Guendolen and Phyllis. Of the two, Guendolen is relatively well known. It was she who first espied the fairy disappearing beneath the Mount Merrion sycamore tree that inspired Sir Neville to create Titania’s Palace in the first instance. And as a young woman, Guendolen’s activities on behalf of the Children’s Union are featured frequently in issues of Brothers and Sisters. 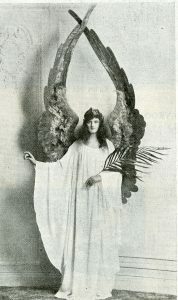 She appears, for example, in the photograph taken at the family’s Duchess Street, Mayfair home, when Queen Mary officially ‘opened’ Titania’s Palace. She is featured most prominently too in the September 1923 issue, where she is portrayed, rather remarkably, in the guise of the Clerk of the Crystal; the office responsible for administering membership of the Most industrious Order of the Fairy Kiss. However, for whatever reason, the Wilkinsons were much less forthcoming about their younger daughter, Muriel Phyllis Wilkinson. 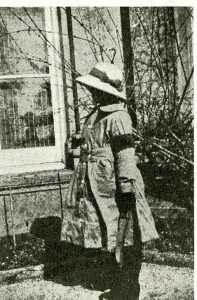 She is rarely referred to in the pages of Brothers and Sisters, and the one solitary photograph of her, published in the June 1917 issue when she was about nine years old, shows her face deeply occluded by the large sun hat she is wearing. Additionally, it is worth remarking that she didn’t appear with the rest of her family in the photograph with Queen Mary, celebrating the ‘opening’ of Titania’s Palace in 1922 . 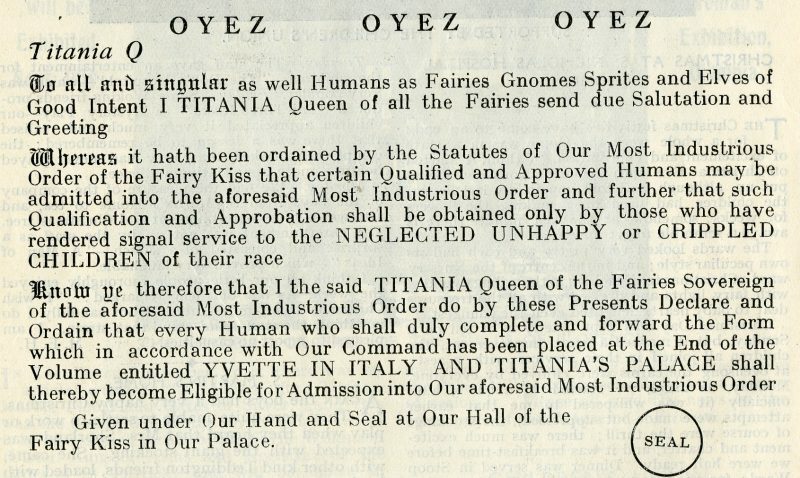 Unlike the rest of her immediate family, she is omitted too, from Sir Neville’s fictional Order of the Fairy Kiss published as a New Year’s Honours List in the February 1924 issue of Brothers and Sisters (Sir Neville is listed as Knight Grand Cross and Gold Pen, Lady Beatrix as a Star Matron, and Guendolen as the aforementioned Clerk of the Crystal). 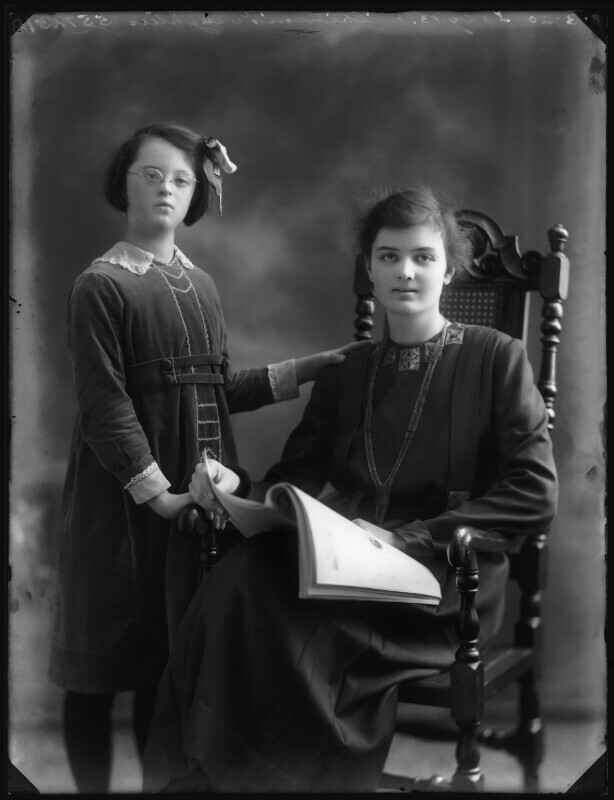 for she is not dissimilar in appearance to her portrayal in a photograph retained by the National Portrait Gallery, where she is portrayed together with her older sister. 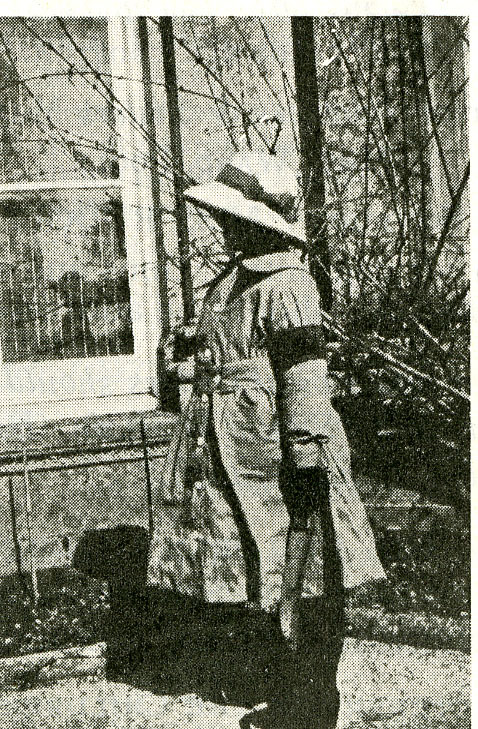 The photograph was taken in March 1920, when Muriel would have been eleven or twelve years old – the same age as Yvette in Sir Neville’s first book. Such is the physical similarity, is it is not too fanciful to speculate further that Sir Neville modelled Yvette on an idealised version of his youngest daughter? Of course, this is only speculation. Much as it remains an appealing hypothesis, without knowing more of the family history it is quite impossible to know with absolute certainty. 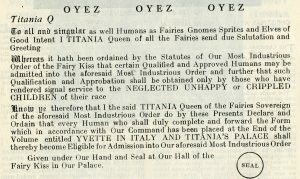 The reward for being admitted to the Order of the Fairy Kiss entitled its Companions and Rose-Maidens to visit Titania’s Palace as many times as they wished and without having to pay the entrance fee – just as long as they wore their badge of office, that is. However, attaining such rank was not especially straightforward. Aside from the necessity of having to possess a copy of one of the “Yvette” series of books, those aspiring to the Order needed to complete and return the form placed at the end of the book to one of the charities supported by Sir Neville and Lady Beatrix. Only after doing this would claimants be informed as to the qualifying criteria. Perhaps this was expecting a little too much however, and as early as August 1924, the requirements were listed in Brothers and Sisters. With respect to Children’s Union members, there were three possible means of attaining membership. Firstly an aspiring Companion or Rose Maiden could form a Branch in a parish or district where there was no existing Branch. Secondly, a member could demonstrate that they’d gained twelve or more new members to their Branch. Thirdly, in cases where a complete Branch had done exceptionally good work, but individual members were unable to buy a copy of Yvette in Italy, the Branch Secretary would be allowed to buy the book out of Branch funds at the end of the year, and then Branch members would vote amongst themselves to nominate the individual whose name would be placed on the application form. Whatever route was taken therefore, possession of a copy of “Yvette” – and its application form – was essential. Sir Neville’s approach to the Titania’s Palace project (on reflection, almost certainly not a word he would have chosen to describe his works!) was a curious mixture of whimsy and hard-headed pragmatism. A make-believe world countered by the practical pursuit of raising funds for children’s charities. 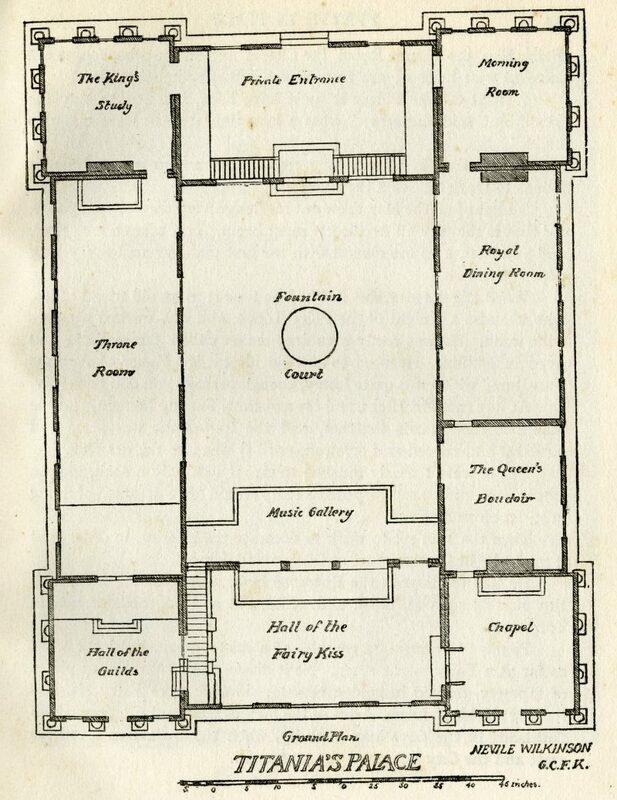 Thus far, we have looked at some of the means by which Sir Neville raised awareness and interest in Titania’s Palace; by ensuring constant coverage in the pages of Brothers and Sisters, authoring a series of children’s books, and promoting a number of means by which the young membership of the Children’s Union could become involved (to which the Badge of the Fairy Queen should be added to the Order of the Fairy Kiss). The consequences were huge interest in Titania’s Palace and attendance by large numbers of paying members of the public wishing to visit the attraction. This latter aspect – Titania’s Palace On The Road, if you like – plus an account of the Palace’s present day whereabouts, will be covered in a further article.